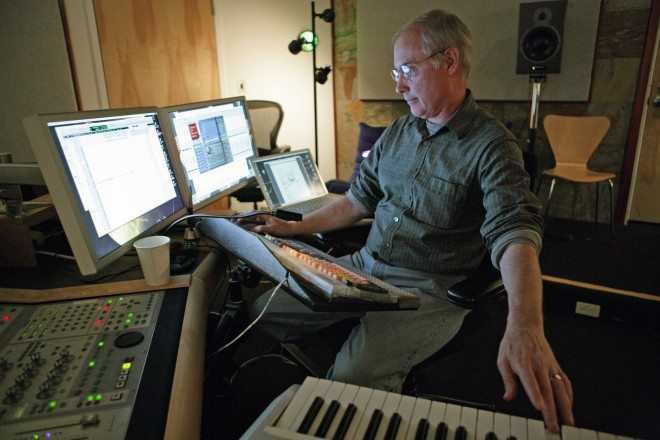 Ben Burtt with his keyboard. One of the current frustrations using Adobe Audition is the lack of any MIDI implementation outside of controllers. In this article I’ll show you an Audition MIDI Hack which can at least get your digital performances into Audition and allow you to edit and mix them in the DAW format. Here’s the situation: I’ve been telling the good folks on the Adobe Audition team about the need for them to implement MIDI for nearly two years. Apparently, it’s more difficult than I realize to do. I’m no programmer, but I can appreciate a comprehensive upgrade to the core of an application – and the ability to record MIDI notes and have a plugin turn those notes into audio – that would certainly qualify as a comprehensive upgrade. Until they make this leap into music making, we have a little bit of a problem using AA as our sound effects DAW. The main thing is that it’s impossible to do what our friend Ben Burtt does (and I do) and use a MIDI keyboard (not a QWERTY keyboard) to “play in” the sound effects to picture. We go over this extensively in the Pro Member Education, but I wanted to briefly cover why it’s important and introduce you all to the hack I use to get it all to work in AA. My Kurzweil PC-88MX. Yes. I know. I need to clean it. up. It’s certainly the simplest way to get SFX placed…but it’s nowhere near the easiest or most efficient. A multisampler is a simple app at is core which transduces MIDI input (or digital key “on and offs” – or data sent from the keyboard when you press a key and release it) into audio. As an example: You load a burp sound into the multisampler in a program like, say, Logic Pro. The “multisampled sound” has a bunch of burps assigned to multiple keys up and down the keyboard. 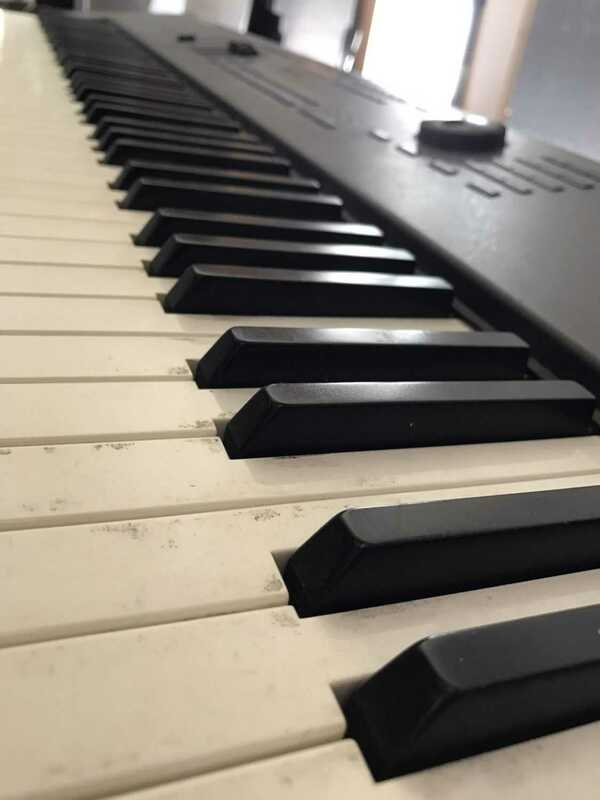 When you press one of the piano keys on this keyboard, a “note on” event is sent to the multisample plugin. The plugin then sends audio information from the sample assigned to that key to the channel’s output in Logic. If the burp was looped – then you could have infinitely long burps. That is, until you release the key. Once you release the key, the keyboard sends a “note off” event to the multisampler which then knows to stop the burp sound. Pretty simple stuff. It’s crazy slick-dope for musicians. I can create an entire 150 piece orchestra with a keyboard, a fast computer, some SSD drives and a lot of amazing multisamples. How do we use this for SFX? Well, imagine you have to do foley for a scene where an actor must walk for 30 seconds. That’s a lot of steps. You could drag in a library and spend a long time editing all the steps to sync up. It’s a super drag to do. Naturally, the best way to execute these footsteps is to do foley yourself in a closet and perform the steps. But if you can’t do that, you’re stuck using a library of some kind. Dragging audio files around is a drag, because what if the director (or you) don’t like the result in the mix? Then you have to redo your work! And now you’re on the clock in the re-recording studio. Boo. With MIDI recording, you could play in the steps, sync them up as you like, but get the best of both worlds: the performance of foley and the ease of a library. The most important aspect of this is that you can change sounds without having to change performance! It’s pretty amazing, and it never ceases to blow clients away when I change an entire scene’s footsteps or clothing with a couple of button presses. Cinema Sound will soon be offering pre-made multisample foley libraries to you, and it’ll change everything for you. Some of the cool multisample plugins you can consider include EXS-24 (built into Logic Pro), Kontakt (the industry standard), SampleTank (free) and many others. But the problem, again, for you Audition users is that you have no MIDI implementation for multisamples. output of that app to Audition for it to record the audio of your performance. That application, I’m recommending, is Sampletank. 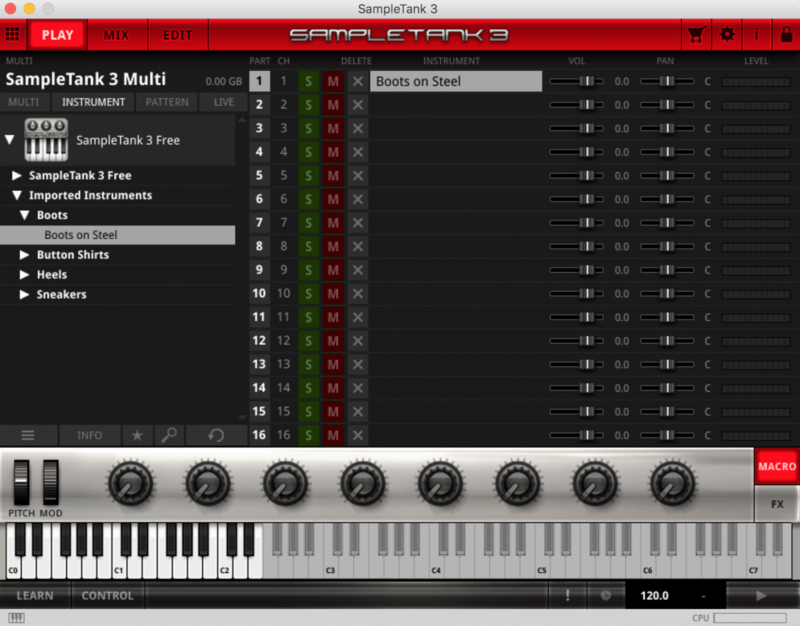 Sampletank is a stand alone app which is PC/Mac which happily receives MIDI information and transduces it into audio. You can route the audio anywhere your computer allows audio to be routed. It’s also FREE. Yes, if you look it up you’ll find lots of paid versions, but those are for the sounds which come with it. SampleTank is designed for musicians and the good folks at its company, IK Multimedia, have incredible sample offerings if you’re musically inclined. But the actual mutlisampler is free. Nice. BTW, only use V3 and later. V2 is also free, but for our purposes and organization of your samples, you’ll want 3. For you PC people, you’re all set. Install Sampletank, and route it’s output to the general PC audio bus, then assign Audition’s Audio Hardware Input to that input. Then arm a track for record, and when you play your keyboard (to be clear: Sampletank and Audition must be running at the same time), you’ll get your happy samples playing into the AA channel of your choice. Record your performances with the sample library you’ve loaded into sample tank, and you’ll end up with lovely audio recordings of your performances. Done. For you Mac folks, it’s not so easy. The good folks at Apple don’t like you having the ability to route audio anywhere you want – they fear copyright violation. So there is no way to route audio from SampleTank into Audition. Sound Flower solves Apple’s musical trust issues. so we’re hosting it here on the Cinema Sound site in our free files ftp. It acts as a behind-the-scenes router which embeds itself in the sound panel of your system preferences. Once you’ve installed it (which is dope simple), you’ll find a 2 & 64 channel version show up in both SampleTank output choices and AA input choices. 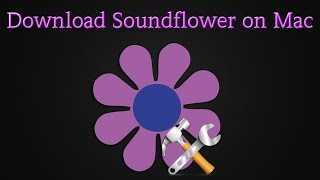 Use the 2 channel version of Sound Flower for both the SampleTank output and the AA input. Then do just like the PC folks do above, and you’ll happily have your MIDI performances from SampleTank recorded into AA – or any other audio application for that matter – with ease. Yes, I know: it’s not actually recording the MIDI, and you wouldn’t be able to instantly change your sounds on the fly. BUT, if you knew you needed a few different kinds of footsteps, you COULD easily switch sounds in Sample Tank and perform the steps again (or whatever you’re doing). Make several different versions, and you’ll still have a lot faster response to, “I hate it! Change it!” (ie “Producer Disease) than if you’d just dragged straight audio files in. Look, if it’s good for Ben Burtt, it’s good for you. And having the capability to record MIDI performances for SFX and foley can’t be understated. You can certainly go out and buy a $550 multisample app (Kontakt) or $199 Logi Pro (EXS-24), but if you’re mixing in Audition, you’re still out of luck: no MIDI. SampleTank, even for PC folks, is free, awesomely easy to install and use, and solves an awful lot of problems. Used SampleTank before? Have a thought about it? Let us know or Tweet about it! 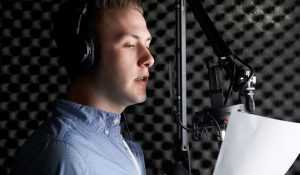 Get Great Sound Effects with Saramonic Mics Demo!